The Force USA 30kg Weight Vest is the perfect solution to taking your workout to the next level. Solid construction and effective in design, the Force USA 30kg Weight Vest is made for everyday training use. Featuring heavy duty structural integrity, the Force USA 30kg Weight Vest is built to take a pounding and help you expand your range of exercises. 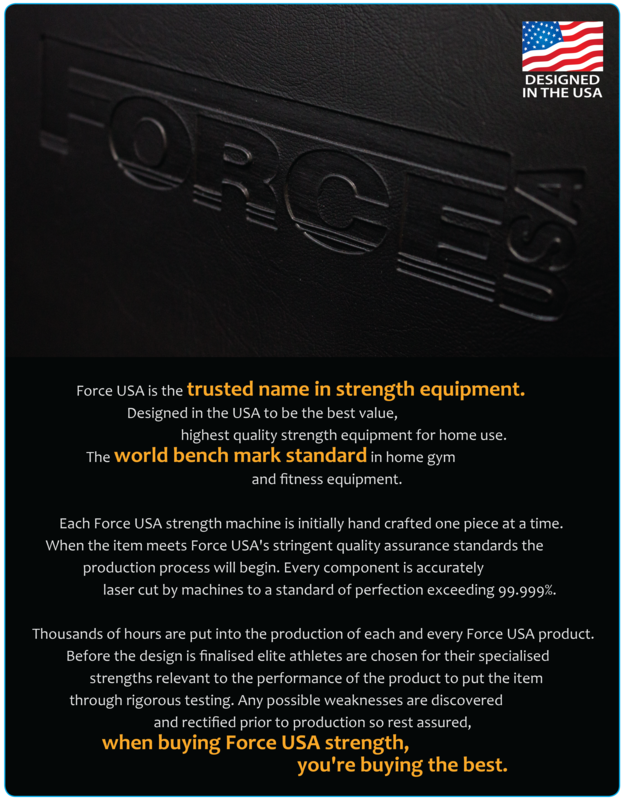 And, with a “Class A” rating, the Force USA 30kg Weight Vest is built to last a lifetime. The Force USA 30kg Weight Vest is unmatched in its class and will give you solid and intense workouts for many years to come! With the Force USA 30kg Weight Vest you will have intense workouts for a variety of different muscle groups while maximizing the effectiveness of your workouts with a combination of core and strength workouts. 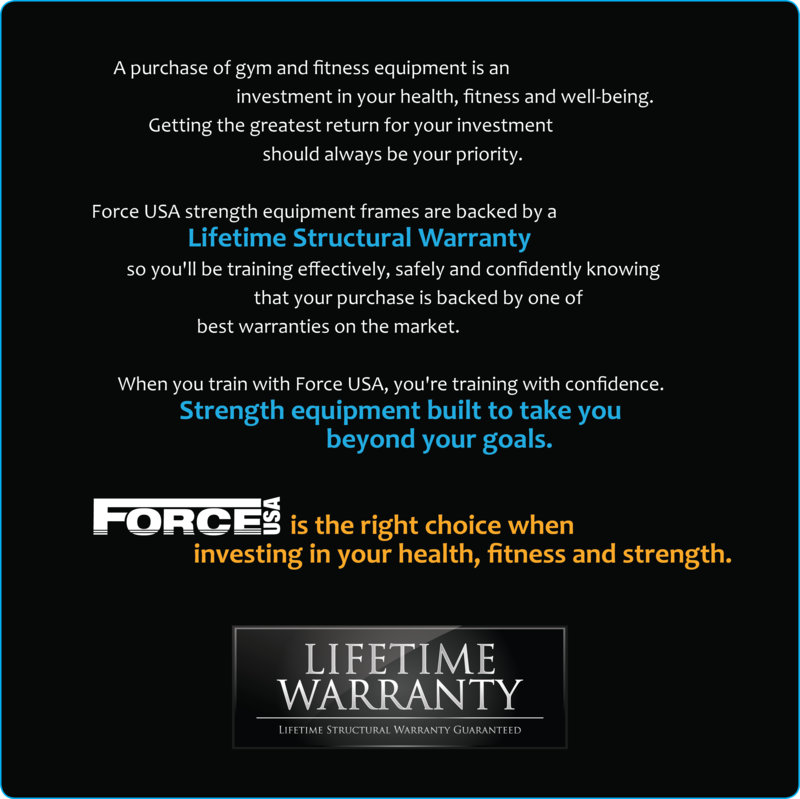 The Force USA 30kg Weight Vest provides some of the best, most effective strength training exercises. Use at the gym or at home to mix up your exercises and take your training to the next level! The Force USA 30kg Weight Vest is worn just the same way you would wear a jacket. Adjustments allow the Vest to fit to effectively to your body shape. The weights have been positioned to provide an even distribution over your torso so the load is proximal to your core and minimises stress on your joints. Weights can be removed or added to suit your particular exercise. The Force USA 30kg Weight Vest can be used in addition to many exercises such as Chin Ups, Push Ups, Squats, Lunges, Kettlebell workouts or almost anything you can think of. Wear the Force USA 30kg Weight Vest whilst active in training at the gym, active in sport, running or simply going for a walk and you'll not only improve your strength and conditioning gains but also tone up and lose fat whilst burning extra calories. 5 stars. Very happy with the product and the service/delivery. Look forward to buying more equipment from G&F. Great service with low prices, fast postage Highly recommend! I bought two new weight vests from gym and fitness and it has made our gym workouts so much fun. My products arrived within 4 days of buying them online. I will definitely be purchasing products to help my future workouts from gym and fitness. Thankyou thankyou thankyou! Gift for my brother. He loved it and it was delivered in a timely fashion much to my relief.